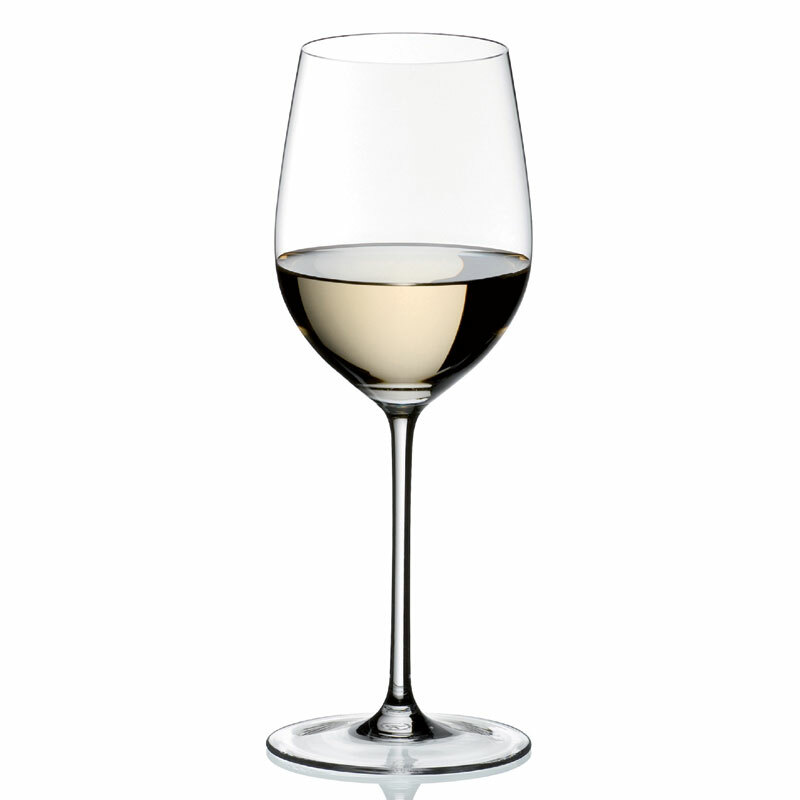 This glass can be used for both Red and White Wines. Grape varieties and wines for the Mature Bordeaux (Red Wines): Bordeaux (mature), Cahors, Lagrein, Madrian, Zweigelt. Grape varieties and wines for the Chablis Chardonnay (White Wines): Albarino, Arnes, Burgundy Aligote, Bordeaux (white), Burgundy (white, Chablis, Chardonnay, Chenin Bland, Cortese, Hermitager Blanc, Marsanne, Meursault, Montagny, Morillon, Pinot (Blanc, Grigio, Gris, Rulander, St Josepth (white) and Viognier. Mature Bordeaux: Wines from classified Bordeaux chateaux have tremendous ageing potential. In fact, when stored in perfect conditions Bordeaux can mature for a hundred years or more. Such venerable wines can offer an incomparable tasting experience. Late-ripening, small-berried clusters of Cabernet Sauvignon produce a wine with powerful tannic structure, and it is this that gives the wine its unique longevity. Bottle ageing develops both the colour and the aromas, fusing together and rounding out the tannins to the point that the wine tastes even better than it smells. This stage makes plateau from which the wine will slowly start to decline in quality. And it is at precisely this point that this classic Sommeliers shape comes into its own. The glass offers a smaller “breathing space” than that for the Bordeaux Grand Cru, thereby de-emphasising the aromas of age. Reduced tannin levels are revived on the palate, while the fruit is highlighted. This is a glass that imports all the concentration and finesse that these great wines deserve. Chablis Chardonnay: Some of the finest and most expensive dry white wines are made from this grape variety, a native of the Burgundy region, which is now grown in almost al wine-producing regions worldwide. In the New World, especially, Chardonnay’s popularity stems from its creamy structure, which balances oaky, buttery flavours with low acidity. The variety produces wines of high alcoholic content, often aged in small oak barrels. Winemakers sometimes add tartaric acid to adjust its low acidity is delivered in a way that sets off the alcohol and rich flavours of wine, highlighting its velvety, supple texture, emphasizing the fruit and ensuring a long, balanced finish. 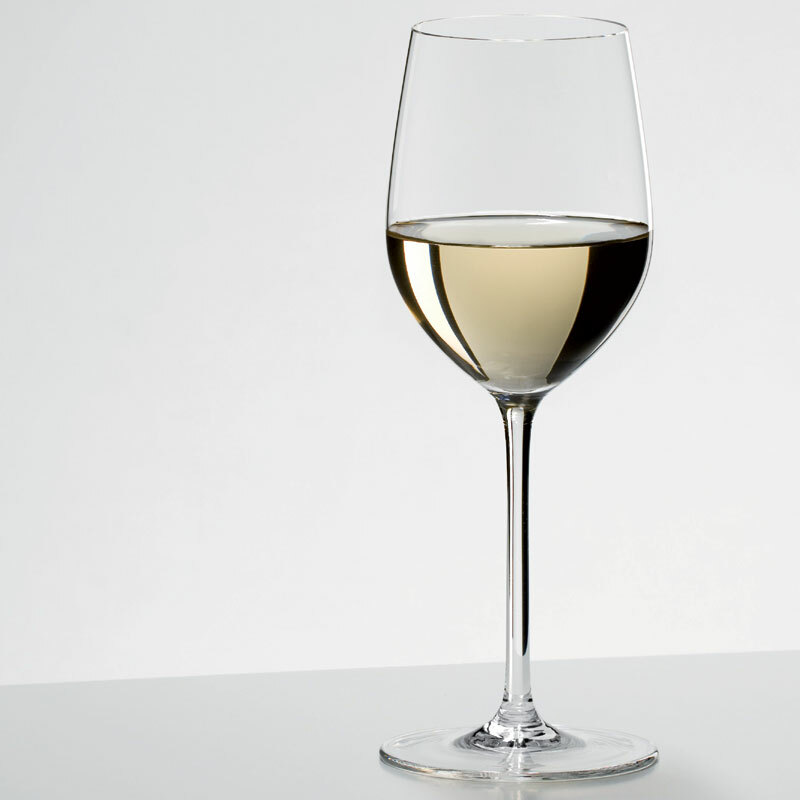 This classic Riedel shape allows young wines to express all their invigorating freshness, while more mature wines are encouraged to deliver the nutty, spicy, mineral flavours so typical of the variety.